There has been a lot of work lately that has gone into bringing Docker containers to the Windows platform. Docker has been working closely with Microsoft to bring containers to Windows and just announced the availability of Docker on Windows at the latest ignite conference. So, in this post we will go from 0 to your first Windows container. This post covers some details about how to get up and running via the Docker app and also manually with some basic Powershell commands. If you just want things to work as quickly as possible I would suggest the Docker app method, otherwise if you are interested in learning what is happening behind the scenes, you should try the Powershell method. The prerequisites are basically Windows 10 Anniversary and its required components; which consist of the Docker app if you want to configure it through its GUI or the Windows container feature, and Hyper-V if you want to configure your environment manually. This is by far the easier of the two methods. This recent blog post has very good instructions and installation steps which I will step through in this post, adding a few pieces of info that helped me out when going through the installation and configuration process. After you install the Win 10 Anniversary update, go grab the latest beta version of the Docker Engine, via the Docker for Windows project. NOTE: THIS METHOD WILL NOT WORK IF YOU DON’T USE BETA 26 OR LATER. To check, open your Docker app version by clicking on the tray icon and clicking “About Docker” and make sure it says -beta26 or higher. After you go through the installation process, you should be able to run Docker containers. You should also now have access to other Docker tools, including docker-comopse and docker-machine. To test that things are working run the following command. If the run command worked you are most of the way there. By default, the Docker engine will be configured to use the Linux based VM to drive its containers. If you run “docker version” you can see that your Docker server (daemon) is using Linux. In order to get things working via Windows, select the option “Switch to Windows containers” in the Docker tray icon. Now run “docker version” again and check what Server architecture is being used. As you can see, your system should now be configured to use Windows containers. Now you can try pulling a Windows based container. If the pull worked, you are are all set. There’s a lot going on behind the scenes that the Docker app abstracts but if you want to try enabling Windows support yourself manually, see the instructions below. To enable the Windows container feature from the CLI, run the following command from and elevated (admin) Powershell prompt. To enable the Hyper-V feature from the CLI, run the following command from the same elevated prompt. 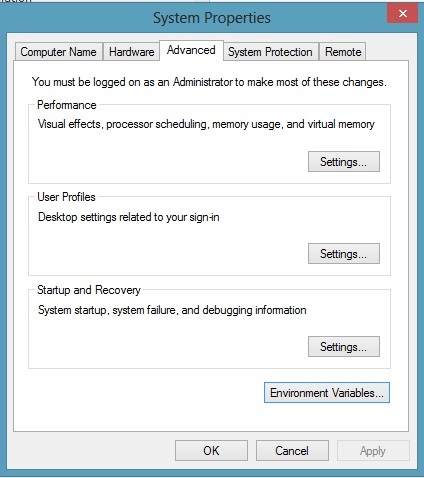 After you enable Hyper-V you will need to reboot your machine. From the command line the command is “Restart-Computer -Force”. After the reboot, you will need to either install the Docker engine manually, or just use the Docker app. Since I have already demonstrated the Docker app method above, here we will just install the Docker engine. It’s also worth mentioning that if you are using the Docker app method or have used it previously, these commands have been run already so the features should be turned on already, simplifying the process. The following will download the engine. Expand the zip into the Program Files path. Add the Docker engine to the path. Set up Docker to be run as a service. Then you can try pulling your docker image, as above. There are some drawback to this method, especially in a dev based environment. The Powershell method involves a lot of manual effort, especially on a local machine where you just want to test things out quickly. Obviously the install/config process could be scripted out but that solution isn’t idea for most users. Another drawback is that you have to manually manage which version of Docker is installed, this method does not update the version automatically. Using a managed app also installs and manages versions of the other Docker productivity tools, like compose and machine, that make interacting with and managing containers a lot easier. I can see the Powershell installation method being leveraged in a configuration management scenario or where a specific version of Docker should be deployed on a server. Servers typically don’t need the other tools and should be pinned at specific version numbers to avoid instability issues and to make sure there aren’t other programs that could potentially cause issues. While the Docker app is still in beta and the Windows container management component of it is still new, I would still definitely recommend it as a solution. The app is still in beta but I haven’t had any issues with it yet, outside of a few edge cases and it just makes the Docker experience so much smoother, especially for devs and other folks that are new to Docker who don’t want to muck around the system. Check out the Docker for Windows forums if you run into any issues. Installing software on Windows in an automatable, repeatable and easy way in Windows has always been painful in the past. Luckily, in recent years there have been some really nice additions to Windows and its ecosystem that have improved the process significantly. The main tools that ease this process are Powershell and Chocolatey and these tools have significantly improved the developer and administrative experiences in Windows. In the past, in order to install something like a programming language and its environment you would have to manually download the zip or tar file, extract it, put it in the correct place, set up environment variables and system paths manually, etc. Things would also break pretty easily and it was just painful in general to work with. Hopefully you are already familiar with Powershell at least because I won’t be covering it much in this post. If you have any recent version of Windows you should have Powershell. Below I describe Chocolately a little bit and why it is useful so you can find out more in the post or you can check out the Chocolately website, which does a much better job of explaining its benefits, how it is used and why package managers are good. This process is pretty straight forward. Make sure you open up a Powershell prompt with admin privileges, otherwise you will run into problems. The first step is to change the default system execution policy (if you haven’t already). On a fresh install of Windows, you will need to loosen up the security in order to install Chocolatey, which will be used to install and mange Node.js. Luckily there are just a few Powershell commands that need to run. To check the status of the execution policy, run the following. This should tell you what your execution policy is currently set to. To loosen the policy for Choco, run the following command. Follow the prompt and choose [Y] to update the policy. Now, if you run Get-ExecutionPolicy you should see RemoteSigned. If you don’t have your execution policy opened up to at least RemoteSigned, you will have trouble installing things from the internet, including Chocoloatey. You can find more information about Execution Policies here if you don’t trust me or just want a better idea of how they work. If you aren’t familiar, Chocolately is a package manager for Windows, similar to apt-get on Debian Linux systems or yum on Redhat based systems. It allows users to quickly and easily install and manage software packages on Windows platforms through Powershell. The steps to installing are Chocolatey are listed below. This command will take care of pretty much all of the setup so just watch it do its thing. Again, make sure you are inside of an elevated admin shell, otherwise you will likely have problems with the installation. The last step (finally) is to install Node.js. Luckily this is the easiest part. Just run the following command. Choose [Y] to accept that you want to run the install script and let it run. There should be some colored output and when it is done Node should be installed on your system. 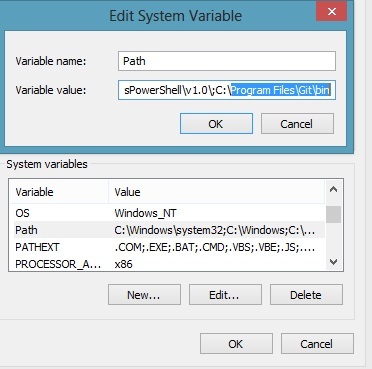 You will need to make sure you close and re-open you Powershell prompt to get the Node binaries to be picked up on your PATH, or just source the shell by running “RefreshEnv” to pick up the new path. If you are in an admin shell I would recommend dropping out of it by simply closing the current session and opening up a new, non privileged session. Once you have a fresh shell you can test that Node installed properly. Now you are ready to go. It only took a few minutes with the Choco package manger. If you are new to Node in general and are looking for a good resource, the learn you the node project on github is pretty decent. Let me know if you have any caveats to add to this method, it is the easiest and fastest way I have found to installing Node as well as other pieces of software in Windows without any hassle. Every once and awhile you will probably encounter a situation where you need to enable and then use telnet in a security focused environment. In certain situations telnet can be a great tool to test the functionality of firewall rule. Iif you aren’t certain whether or not a rule is working telnet can be a great way to help debug. The problem in Server 2008 and above is that telnet isn’t enabled by default. Luckily with PowerShell it is easy to enable the telnet functionality. The following set of commands is a quick depiction of how you can enable telnet from a PowerShell prompt to ensure the ability of testing certain ports. Try it out. Bam! As always, it is always easier to stay in command prompt and this is a great way to test port connectivity. I can understand why telnet is disabled by default on fresh server builds but sometimes it can become useful to have telnet as a tool to test connectivity. If you would like to debate the merits of disabling/enabling telnet on a server just drop me a line, I obviously will not be focusing on this aspect here. Anyway, just as easily as it is to enable telnet through PowerShell it can be disabled with the following command. If you already have the server manager module imported, skip to the second command. That’s all it takes. Very simple and very straightforward. This book is one of my top recommendations on the book recommendations page, especially for learning Powershell and Windows administration. It seems like everybody is using git these days. And for most, not everybody is stuck using Windows in their day to day workflow. Unfortunately, I am. So that means it is much more painful to get up and running with a lot of the coolest and best open source projects that are offered by members of github and other online code repositories being shared via git. However, there is hope and it is possible for Windows users to join the git party. So in this post, I would like to describe just how to do that. And it should only take a few minutes if done correctly. I will mention beforehand that there are a few steps that need to be completed in order for this technique to work successfully that typically are taken care of in a Linux or OSX environment. The goal of this post is to work through these steps as best I can to get users up and running as quickly as possible and as easily as possible, reducing the amount of confusion and fumbling around with settings. This post is designed for beginners that are just getting their feet wet with git but hopefully others can use it as a resource if they are coming from a different environment and are confused by the Windows way of doing things. First step – Download and install the git port for Windows. This is pretty straight forward. Download and run the executable to install git for Windows. If you just want to get up and running or are lazy, you can leave all of the defaults when you run through the installation wizard. Second step – Add the git binaries to your system path variable. This is the most important step, because out of the box git won’t work in your ordinary PowerShell command prompt, it needs to be opened separately. So to fix this and add all the necessary binaries open up your environmental variables (in Windows 8). and add the following value to the PATH variable. Here is what this should look like in Windows. Third step (optional) – Download and install posh-git for better PowerShell and git integration. I have highlighted part of this process before in an older post but will go through the steps again because it is pretty straight forward. To be able to get posh-git you need to have a sort of PowerShell package management tool called PsGet (instructions here). To get this tool run the following command from your PowerShell command prompt. Once the command has completed you should be able to simply run this install command and be finished. That should be it. With these simple steps you should be able to utilize git from the command line like you are accustomed to on other operating systems. As I said, there is a tad more leg work but you can really utilize the flexibility of PowerShell to get things working. I hope it helps, and as always let me know if you have any tips or questions.